One of the great things about iPhone and iPad accessories is the ecosystem that has evolved since the advent of the iPod for all things Apple. The range of design ideas and materials is endless, but one of my favorites is made by a company here in Portland, Oregon called Grove. Their case for the iPhone 5 uses a new method not previously used in their products to increase strength. They have laminated a plant-fiber compound inside the renewable bamboo outer shell that adds strength while remaining environmentaly friendly. In an age of disposable plastic and silicon cases and covers, this 100% post-consumer material shows that you can add personality and flair to your electronics without causing more stress on our landfills. In addition to loads of designs that are available from artists world wide on these cases, Grove also offers the unique ability to customize the case by laser etching your own designs as well. They sent me the plain case above, but I have another case for my iPad 3 with my family's coat-of-arms etched into the leather cover that shows the great craftmanship these folks are capable of. While their cases are continualy on back-order, they are well worth the wait. Everyone who has seen this case is blown away, and I have had dozens of people ask where it came from in the week since it arrived. 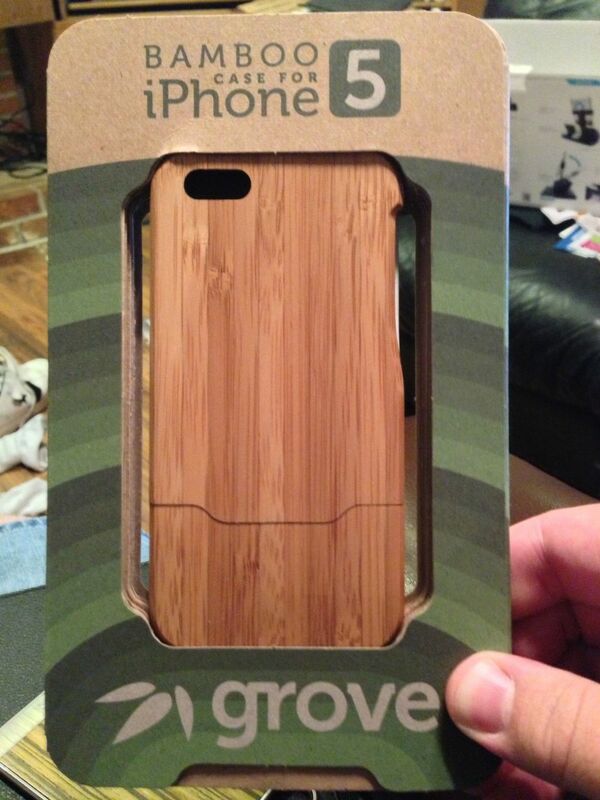 Grove can be found online at www.grovemade.com.